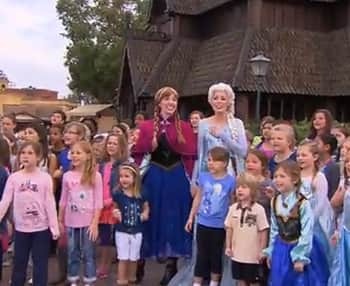 If you watched “Good Morning America’s” “Frozen”-themed sing-along event ON ABC-TV, then you saw (and heard) a group of talented children performing a portion of the song “Let it Go!” at Walt Disney World Resort. Today, to celebrate the recent release of Disney’s Academy Award-winning film “Frozen” on Blu-ray Combo Pack, we’re sharing their complete – and adorable – performance with Anna and Elsa. Well that was pretty stinkin cute, wasn’t it? Any news on the coronation yet? We’re all dying to know! Fantastic! Those kids really know what they’re doing. Please send Elsa up to Ontario to stop our eternal winter! Wow, those are some talented kids! 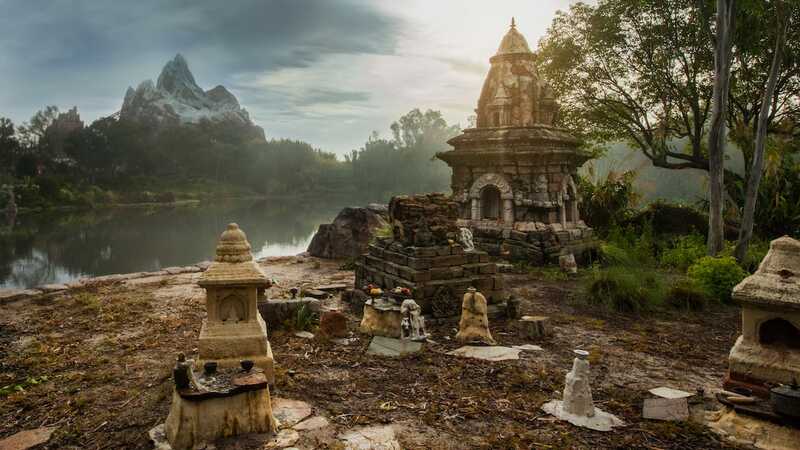 Maybe we will see them performing at Walt Disney World in the future as cast members. They did a great job, I really enjoyed this a lot. thanks for posting. I’ll admit, I started to feel tears in my eyes. Also I love how Elsa recreated her performance from the film. You’ll think they’ll ever have face characters that will sing when the mood fits? Loved watching the GMA clip and I’m so happy we got to see the whole clip from EPCOT.